Your dog is scratching – could it be bed bug bites? Can bed bugs bite dogs? It’s a common misconception that bed bugs do not bother pets, but this is wrong. Bed bugs are equal opportunity bloodsuckers. They are attracted to body heat and carbon dioxide. Basically, if it is alive, a bed bug is going to bite it. 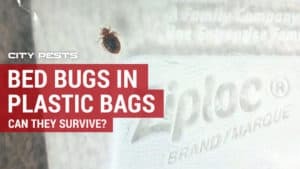 Although the bad news is bed bugs bite pets, the good news is that it is possible to get rid of bed bugs on pets as well as the human members of your family. Do bed bugs bite dogs? Yes! Although bed bugs prefer to dine on human blood, they will bite any animal in their path, including dogs. Getting rid of bed bugs on dogs is similar to getting rid of bed bugs on people. Immediately wash the dog and its bedding and stuffed toys. You then need to attack your entire home and cars to get rid of the other bugs hiding there. Are you sure they are bed bugs and not fleas? 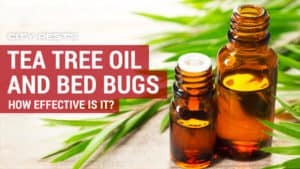 Before you start frantically using bed bug dog shampoo or bed bug spray safe for pets, you want to make sure that it is bed bugs your dog is suffering from and not a similar pest, fleas. Fleas are comparatively easy to get rid of in your home than bed bugs. You can save yourself a lot of time and effort by identifying the pest of your pets. Do not live on your dog’s body. They live in the bedding, in the carpet under the bedding, in the furniture near the bedding and just about any place in a home, kennel or car that a dog hangs out in. Bed bugs grow to only five millimeters or 3/16 of an inch long. Bed bugs have oval-shaped bodies. Bed bug legs are more or less the same length. Lives on your dog’s body and on the dog bedding and carpeting. Their bodies move much more efficiently through your dog’s fur than bed bug bodies. Fleas are smaller than bed bugs, only growing to an average of 2.5 millimeters long. Fleas have noticeably longer back legs which they use for hopping. They hop so well that they do not need to fly. According to the American Veterinary Association (AVMA), bed bug bites on dogs look so similar to other bug bites that you cannot tell if your home has bed bugs just from bite marks alone. You also need to check places where bed bugs are likely to hide. If you find them, then you definitely have a bed bug problem. The easiest way to look for bed bugs is to look wherever your human family or furry family sleeps. Bed bugs are predators and do not rest too far away from their prey. They like seams, cracks or crevices to hide in. They look like grey, brown or tan drops slowly crawling about. Your sheets or your dog’s bedding would be peppered with rusty red or dark brown spots. These are the tar-like dropping of bed bugs on pets and humans. If the infestation is bad, then you will notice a strange, musty smell that the bugs and their droppings give off. There are also bed bug detector devices that work well in trapping bed bugs. However, they do not trap enough bed bugs to eliminate an infestation. You need a lot more elbow grease and tidying up before you can get rid of bed bugs on pets. If you do not have the time and have the money, a professional exterminator can check your home for bed bugs. Many companies now use bed bug sniffer dogs to detect the critters without having to drill any holes or pry up floorboards. The dogs do not carry bed bugs on their bodies because bed bugs do not like to live on dogs, so you do not have to worry about any strange dog bringing bed bugs in to your home. 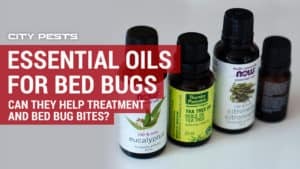 Use a natural dog shampoo to help with bed bugs and their bites. You have determined that you have bed bugs. Get your dogs in the tub and bathe them. 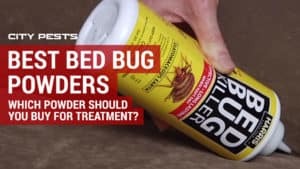 This isn’t so much to kill the bed bugs since they do not like to live on dogs but it sure will help ease the itch of any bed bug bites. Before picking a bed bug dog shampoo, be sure to ask your veterinarian for any recommendations, especially if your dog already suffers from a skin condition like hot spots. Your dog may need a bed bug spray safe for pets rather than a bath. One popular bed bug dog shampoo is Friends Forever Natural Shampoo (see on Amazon) for Dry, Itchy Skin. 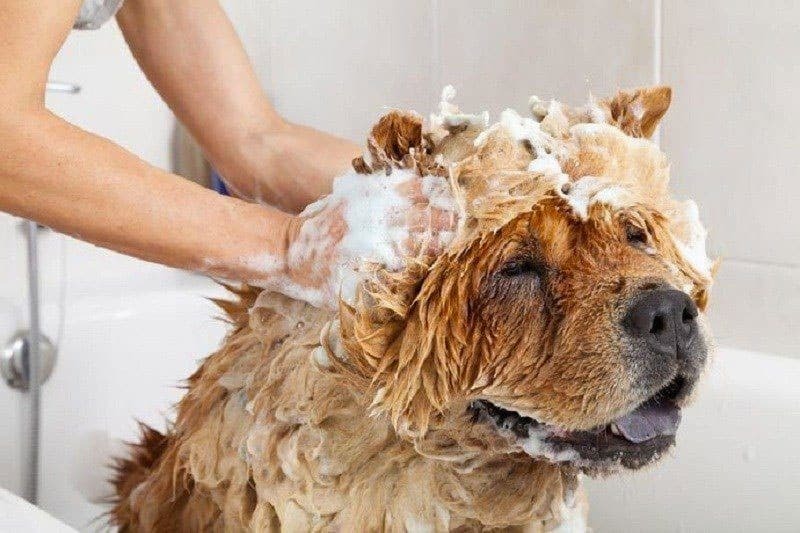 You are looking more for shampoos that help ease the itch than for any shampoos with insecticides, such as shampoos specially made to kill fleas and ticks. If any bed bug should be unlucky enough to be on your dog during bath, it will drown since bed bugs cannot swim. Check for bed bug bites on dogs periodically after the bath or anytime you see your dog scratching more often than usual. If your dog cries out when scratching, check to see that the skin has not broken. Contact your vet for how best to treat cuts and scratches. Your dog may also need an antibiotic to avoid infection. If bed bugs are in one part of your home, they will get into every other part of your home. They get everywhere. 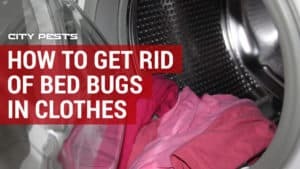 Reduce the chances of bites through the use of your laundry washer and dryer. Wash all the dog’s clothes, bedding and stuffed toys. 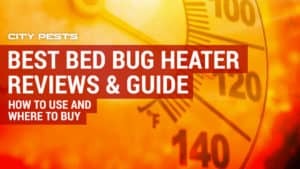 The AVMA recommends you use the hottest setting possible, since extreme heat kills bed bug adults and larvae. Place all clean laundry in resealable plastic bags so they will not get any bed bugs not killed through your cleaning efforts. Until your home is defiantly bed bug free, everything will have to stay in those bags if possible. Things that cannot be placed in a washer or dryer need to be scrubbed, if possible. This is especially good for hard-sided luggage – a common taxi for bed bugs. Steam-cleaning your carpets will also help kill bed bugs. If you cannot do that, at least vacuum your carpets and your car. Vacuums are very effective at sucking up bed bugs and sometimes bed bug eggs. Be sure to empty the canister or change the bags right after use. Bed bug eggs have been known to survive inside a vacuum, hatch and then crawl back out. You do not have to throw out your mattress if it’s in good shape and does not have any rips, tears or holes. Place your mattress in an encasement. This keeps any bed bugs in your mattress away from you and your dog. Eventually, they will die of starvation. 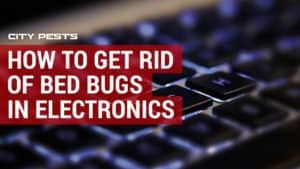 Do bed bugs bite dogs only from dirty homes? Bed bugs are NOT attracted to dirty homes. Cluttered and dirty homes provide more hiding spaces and places to lay eggs than clean homes. However, bed bugs have been found in even the cleanest of homes. Cleaning up the trash, clutter and torn wallpaper helps keep bed bugs out in the open. Sooner or later you will have to hire the services of an exterminator to completely get rid of your bed bug problem. The insecticides used by professionals need to get into contact with the bed bugs in order to kill them. The less clutter and mess make it a lot easier for the insecticide to reach the bed bugs. You often need two treatments before your home is clear. You can also try spreading diatomaceous earth around your home and where your dog sleeps. How did my dog get bed bugs? When a home with pets gets bed bugs, it’s often the pets that get the blame for bringing the bed bugs into the home. However, the chances are very slim that this happened. It is far more likely that you or another human family member brought the bed bugs home and they spread through your home and eventually honed in on your pet. Bed begs cannot hop like fleas or fly like mosquitoes – two other common pests for both pets and people. Bed bugs get around through crawling towards sources of heat and carbon dioxide and from hiding in things. The reason they hide in things is that things tend to get moved around – such as an old dog bed or human mattress in one home with bed bugs given away as a gift to another home without bed bugs. Do flea and tick preventative medications keep away bed bugs? Sadly, products like pills, spot-on liquids and flea collars do not work on bed bugs, notes the AVMA. 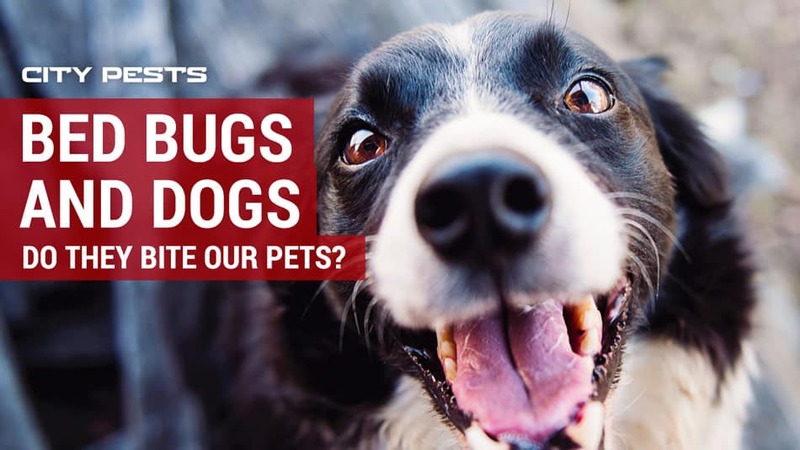 Sometimes it seems like the pet industry is scratches its head when asked, “Do bed bugs bite dogs?” It is always safest for your dog to ask your vet for medications or bed bug spray safe for pets than trust any advertising. The AVMA warns pet owners to never use “bug bombs” or whole house foggers for bed bugs. Bed bugs are able to hide in such narrow places that the insecticide in the bug bomb never touches them. 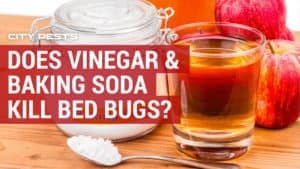 However, these insecticides can get your pets sick, your plants sick and your human family ill.
Do bed bugs bite dogs? Yes – and you and your family. Don’t blame the dog for the bed bugs. Just get busy cleaning and decluttering your home to make your home and your dogs less hospitable to these creepy critters.